Well I am currently 41 yrs old. I was born in 1971. I grew up in Vt on a airstrip where my father kept his airplane. To be a kid with a airplane in your yard, was way too cool with my friends. Both my uncle and dad have a love for "round engines". At a young age I was a "hangar rat" so I spent many weekends at either at home or at the big airport 7 mi away. So while both family members were interested in old airplanes, I followed and so did my cousin. 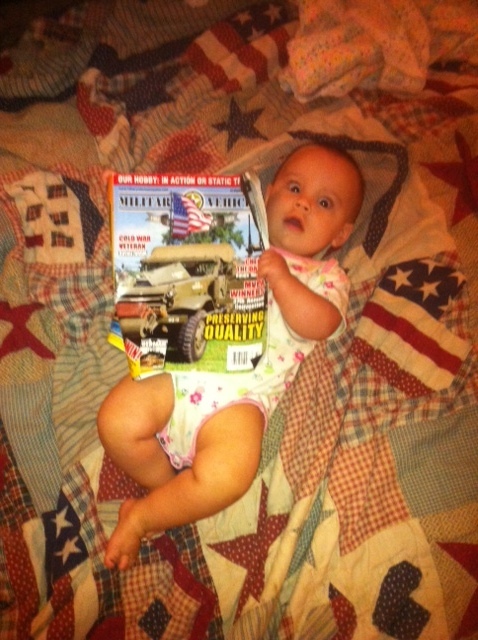 My father also had a deep interest in military history. Being that my 3rd Great-Granfather served in a Vt regiment during the Civil War, we would take his memiors and walk the fields where he once fought. So this at a young age began my interest in "Preservation" of our past. Only would I find out that Airplanes & Military Vehicles mix all too well. As a kid riding the back roads of Vt. 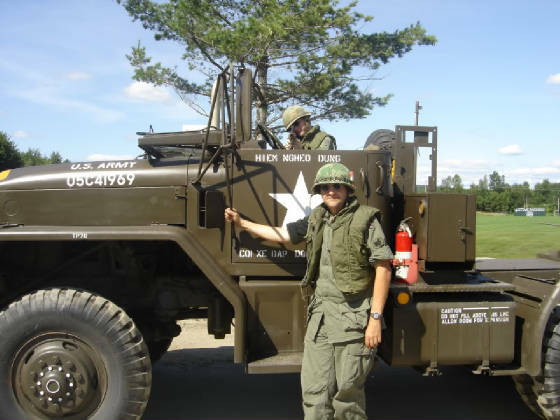 I remember looking for green vehicles with a faded star or the typical "army truck grille" peeking out of a barn. You would think, a kid my age then would dream about 57 Chevy's or Corvettes, "well I did both!!" Dad had a 57 when he was in the AirForce and my uncle has always had Corvettes. I would love a 71 Stingray and someday I will. But these army trucks, I could not resist either. In grade school, I did not take very well to math or any science, but history I did. Doing reports about the Civil War or WW2. I remember the day when our school library put on the shelves the complete Time Life Vietnam History Series. I had eventually checked out each one by the time I was in the 7th grade. My 1st job, was in Aviation. 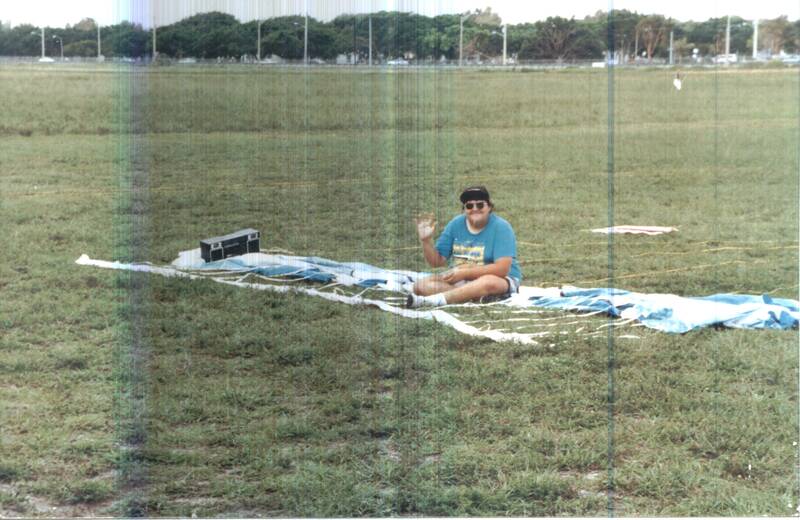 I worked for a aerial advertising company in S. Fla for 6 yrs. 5 of them working on the ground crew setting up banners. My last yr with the company was in Aircraft Maint. I did this while attending my final yr in A& P school. In 1994 I moved back to Vermont and went to work for a Commuter Air Carrier working on thirty 19 seat airliners. I was also involved in the restoration and maint of the company's three DC-3/C-47's. My current and 3rd job I took in 1999 is working for a Regional Air Carrier maintaining 50 seat Jets. I was interested in the Vietnam war because of a past experience when I was really young. So I started to read as much as I could all through high school. When I got to college and working for a living, my studies went on the back burner and I concentrated on my future career of Aviation Maint. But in 1995, I was single and the money was good, my father and I bought a 1951 3/4 ton M37 and started its full, frame off restoration. In 97, I finally got one of my dreams........all 13,000 lbs of it!! I would get distracted from the M37 when I bought a book called "GunTrucks" by Tim Kutta. With all the reading I had done about the war, I found that this was a "untold" story. So I was back to research again. More trucks have arrived, more distractions from the M37. Got Married, and now juggled a family. But I still manage to do it and I finally got the M-37 completed. I could not do it without the support of my wife Bonnie who lets me fill the yard with rolling steel and allows me to spend time to make it all come together.